Maybeth Mitchell Ormond ’40 celebrated her 90th birthday with a party planned by her daughters, held on March 28, 2009. This 1939 May Queen was honored through shared memories and stories collected through the years. Maybeth resides in Forest, where she has written a column for the Scott County Timesfor the past 45 years. Maybeth is the mother of three daughters (two of whom graduated from Belhaven), grandmother of six, and great-grandmother of three. Ruth Stogner Sharp ’42 was named the 2009 Outstanding Citizen by the Corinth Junior Auxiliary. She is a retired teacher and has been a resident of Corinth for over 50 years. She taught for 38 years, is very involved at First Presbyterian Church, and has made many civic contributions as an active leader in the community. Mary George Watkins McMullan ’53 is the proud grandmother of 6 month old quadruplets! Born on October 7, 2008, these 3 girls and 1 boy join 2 other granddaughters, ages 4 and 2. Mary’s son is an interventional cardiologist at Ochsner in New Orleans. Dr. Joseph Warner ’61 and Elizabeth “Betsy” Warner ’67 celebrated their 38th Anniversary by taking their children and grandchildren on a Disney Cruise. They continue serving the Lord and are in their 44thyear of ministry. Dr. Warner has been the Stated Clerk of the American Pres. Church in Florida for 18 years. 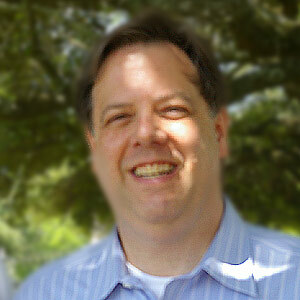 He is founding pastor of the Royal Palm Presbyterian Church (www.RPPC.org) in Lake Worth, Florida. The Warners have three grown children: Rev. Drue, his wife Laura and daughter Grace (3) live in Sugar Hill, Ga. Philip, his wife Dena and their three girls Ruby (6), Lily (6), and Violet (3) live in Florida. Daughter Elise is sales coordinator for a national real estate marketing company and lives in Sugar Hill, Ga.
Nancy Blackmore Burnett ’64 made a recent move from Michigan to Dunedin, Florida. She is now a retired administrative assistant. Pamela Dodds Selbert ’64 has been a freelance writer for the past 23 years and in that time has had three thousand articles published in more than 75 nationwide newspapers and magazines. Pam and her husband, Guy, are thrilled about their first grandchild, a beautiful little girl named Alexandra Marie Elizabeth, born to their daughter Danae Bednar and her husband, Tim, on August 14. John W. Sumrall, Jr. ’64 has written a new book, Classic Magnolia Rock – A History of Original Mississippi Rock and Roll 1953-1970. John wrote the book out of a desire to preserve an important part of the state’s musical heritage. Charley L. Chase ’68 led the Lady Vikings of First Presbyterian Day School in Macon, Georgia to the Georgia Independent School Association (GISA) AAA State Basketball Championship in his first season as head coach. The team finished 28-4 and Charley was named AAA Coach of the Year. 70’s] M. Mims Wright ’70 joined Bentley Associates L.P. as a Senior Advisor. He is a veteran of the travel and leisure industry and was most recently a Principal at Chimney Rock Capital Partners, a boutique investment bank. Anthony “Tony” J. Casoria ’72 and Nancy Lyman Casoria ’72 announce the upcoming marriage of their youngest daughter, Beth, who will wed Nate Myers on July 3 in Edwardsville, Illinois. Tony continues to serve as Senior Minister at Center Grove Presbyterian Church in Edwardsville. 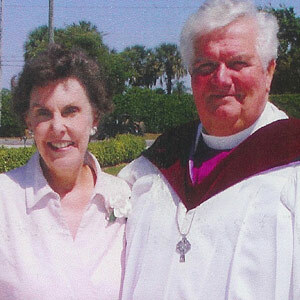 Valerie Glidden Corder ’76 married her husband, Bill, and received her graduate degree from the University of South Carolina in 2008. Marcia Kendall Gross ’76 has two daughters, Allyson and Elisabeth. Allyson graduated from the University of Georgia School of Pharmacy, and is attending the University of Kentucky for her clinical license and specializing in critical care. Elisabeth is attending the College of Charleston, pursuing a graduate degree in accounting and finance, as well as her CPA. Tony Brooks ’78 was named a principal within the accounting firm of HORNE LLP. Tony serves as Director of Information Technology Assurance and Risk Services in HORNE’S Jackson office. He has been with the company since 2003. Vernon G. Miles ’80 was recently named Provost and Vice President for Academic Affairs at Henderson State University in Arkadelphia, Arkansas. Cheryl Plunket Ricks ’84 teaches kindergarten and lives with her husband and two daughters in Clinton. She was selected as the Teacher of the Year for the Vicksburg Warren School District for 2007. She has taught there for over 7 years, serves as a mentor to a first year teacher, and is a member of the Teacher Support Team. Patricia Mounce ’84 received the University of Central Arkansas College of Business Administration Excellence in Service Award for 2008. Patricia serves as Department Chair and Associate Professor of Accounting. Margaret McKee Swarts ’84 recently graduated from Piedmont College in Demorest, Georgia with an Education Specialist degree. She currently teaches General Music at Sixes Elementary in Canton, Georgia. Chris Caughman ’89 has been promoted to Senior Vice President at Peoples Bank in Mendenhall. 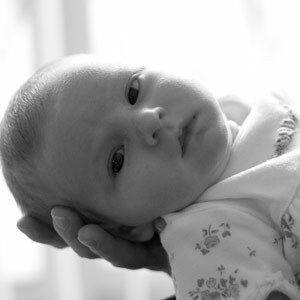 Charlene Swain Bouzek ’91 and her husband welcomed their second child, Christina Marie, on April 10, 2008. She joins older brother Clay, who is now two years old. Elizabeth Ragland Davis ’95 is a stay-at-home mom and homeschooler to four children: Johnny (12), Aly (9), Bradley (6), and Conley (2). Her husband, John, recently became an engineer for King Kutter, moving the family from Chattanooga, Tennessee to Carbon Hill, Alabama. Alexandre Weis ’95 and Haven Knight Weis ’97 welcomed their third child, Isaac Stephen, in April. Isaac joins older brother and sister, Joseph and Haddie. 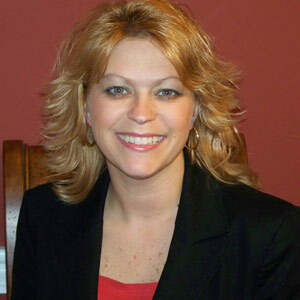 Monica Parkman Roland ’96 won the position of Alderwoman for the City of Brandon, Ward One. 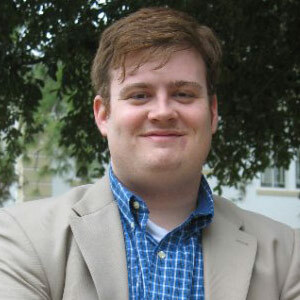 Luke Smith ’97 moved to Savannah, Georgia in 2008 via a job transfer with Interstate Nationalease. In September 2008 he started a photography company, Lone Pine Photography, which he has enjoyed putting part-time hours into. Joel E. Bezaire ’98 recently graduated from Middle Tennessee State University with an M.S.T. in Mathematics. He currently serves as 7th grade Team Leader at University School in Nashville, Tennessee. His father, Bruce, a former art professor at Belhaven now teaches at O’More College of Art and Design in Franklin, Tennessee. Michael Dukes ’98 and Christina Graybeal Dukes ’98 welcomed their fourth child, Mason Anthony, on August 27, 2008. Mason joins older sisters Mackenzie (10), Maggie (8), and Mary Claire (2). James V. “Jim” Kyker ’98 and Judy Kay Babbington Kyker ’99 welcomed their fifth child, John Shepard (Jack), on April 25. Jack joins older brothers and sister, Travis (8), Sam (6), Caroline (4), and Benjamin (2). The family currently resides in Greenville, South Carolina. Wendy Warren ’98 has been promoted to Assistant Vice President for Trustmark National Bank in Jackson. Leann Stevens Barnes ’99 and her husband, Ross, welcomed their third child, Nathanael Jon Rainer, on March 27. He joins older brother and sister, Gabriel (3) and Rebekah (18 mos.). The family currently resides in Beaverton, Oregon. Justin Brock ’99 and his wife, Christina, have three children: Nathan Asher (5), Allie-Makhenna Lynn (4), and Isabella Joy (2). Justin serves as Manager of Product Marketing at BOMGAR Corporation in Jackson. Katina Seymour Williamson ’99 was named the Mississippi College School of Law’s 2009 Young Lawyer of the Year. Tina serves as Director of Corporate Compliance with Mississippi Children’s Home Services in Jackson. Norman “Randy” Keyes ’00 is under board consideration for promotion to Colonel in the U.S. Army Reserve. Randy was part of deployments to the Middle East in 2003, 2005, and 2006. He currently serves as Manager in the Land Department for Tennessee Gas Pipeline in Houston, Texas. Nathan Bruce ’01 had art work featured at the Renaissance Art Exhibition, held at Alexander’s Italian Restaurant in February 2009. Louise Beckham Anderson ’02 and her husband, Roger, have recently formed a new business. Anderson Water and Air Purification, LLC specializes in reverse osmosis drinking water systems for homes and offices. Lauren Morris Goodman ’02 and husband Drew celebrated the birth of their daughter, Geneva Lee in March. Elizabeth Mayer Rose ’02 and her husband, David, welcomed their second child, Christopher Nathaniel, on November 30, 2008. Christopher joins big sister Hannah. The family has recently moved to England, where David is on a three-year assignment at RAF Molesworth. Jessica Highfill Anderson ’03 has spent the past year training as a doula and volunteering with Operation Special Delivery. Jessica is currently completing her certification as a childbirth educator. She and her husband, Michael, welcomed their third child, Peter, on December 11, 2008. Peter joins older sister and brother, Lilly Grace and Micah. Bill Broadhead ’03 received the 2008-09 National Master’s Cohort Leadership Award for Education Leadership and Research at the University of Southern Mississippi’s College of Education and Psychology Awards banquet. Merilee Olps Paxton ’03 was married to Faris Paxton on December 20, 2008. The couple resides in Jackson, where Merilee works as the Assistant Director of College Communications for Belhaven and Faris is completing a Master of Divinity at RTS. Thomas Dent ’03 and Christina Bomgaars Dent ’05 welcomed their first child, Cole Joseph, on October 28, 2008. Thomas continues to work with Dent Air Conditioning, while Christina works part-time at BOMGAR Corporation. Michelle Gravlee Roll ’03 was married to Jacob Roll on January 10, 2009. The couple resides in Colorado. Shequila McCriggs ’03 has recently moved to West Chester, Pennsylvania, where she is conducting cancer research for a major pharmaceutical company. Matthew A. Weaver ’03 and Jill Kille Weaver ’03 welcomed their first child, Dawson Aaron, on July 21, 2008. The family has recently purchased a new home in Dublin, California. Stephen Crowder ’04 and Natalie Piazza Crowder ’09 were married on September 27, 2008. Natalie recently graduated with a degree in Business Administration. Stephen is employed as a Senior Health Program Specialist at Hudspeth Regional Center and is a 2nd year Ph.D. student at the University of Mississippi Medical Center, pursuing a doctorate in Clinical Health Science. Abigail Shanks Olsen ’05 and her husband, Jonathan David, were married February 28. The couple currently resides in Madison, Wisconsin. Katherine Hall ’05 was promoted to business manager at Psycamore. She has been with the company for two years. Beth Alliston ’06, Assistant Chief Nursing Officer at River Oaks Hospital, was named Department Director of the Year. Danny Shaw ’06 has been accepted into the Bread Loaf School of English at Middlebury College and began work on his M.A. in English in June. Danny has been an Admission Counselor at Belhaven College since January 2007 and will remain so while attending Bread Loaf during the summers. Jessica Guidry Dendy ’06 and her husband, Corey, were married April 17 in Destin, Florida. Jessica is a fitness professional, training clients in weights, cardio, and pilates. The couple currently resides in Houston, Texas. Brad ’06 and Amy Lejarzar Fultz ’06 celebrated two years of marriage on March 4. Brad serves as an Environmentalist with Gwinnett County Environmental Health, while Amy completed her first year of teaching 10th and 11th grade history and coaching 9th grade volleyball at Grayson High School. Misty Hamilton Patton ’06 has been promoted to Assistant Vice President for Trustmark National Bank in Jackson. Justin R. Pierce ’06 and his wife, Devin Marie, were married on March 28 in Pensacola, Florida. Justin was promoted to Recreation Supervisor at Vickrey Community Center in March 2008. Adrian Briones ’07 is currently serving as a Strength and Conditioning Graduate Assistant at the University of Tennessee in Knoxville, Tennessee. Adrian is the lead trainer for the varsity tennis program and also assists with the UT football program. Mick Bullock ’07, Communications Director for Lt. Governor Phil Bryant, has been elected president of the Public Relations Association of Mississippi’s central chapter. Vinson Chatman ’07 was promoted to Information Technology Specialist at the G.V. “Sonny” Montgomery Medical Center. Jessica Merrill ’07 has been named a vice president at Regions Bank. She manages relationships with the bank’s private banking customer base throughout the region. She joined the bank in 2007. Twylah Hamilton Davis ’08 completed her first year as an 8th grade teacher in the Copiah County school system. Twylah has enrolled in the MAT program at Belhaven. Francisco Eguiguren ’08 is pursuing a degree in Global Management and Peace at Bridgeport University in Bridgeport, Connecticut. Kathleen G. Fenn ’08 began her professional dance career with TALk Dance Company in Jackson after graduation. In the fall of 2008, Kathleen moved to Mansfield, Ohio to join Neos Dance Theatre. Stephen A. McDill ’08 was recently hired by the Mississippi Business Journal as a researcher/reporter. Stephen is also a regular columnist for Metro Christian Living magazine. Mike Knezevich ’09 completed his MSM degree in May and has been accepted into Jackson State’s Doctoral Program in Public Administration for this fall. While an MSM student, Mike helped Grace House, a local non-profit, win over $1 Million in grant dollars. Mary Katharine McCravey ’32 passed away on March 27, 2009 at S.E. Lackey Memorial Hospital in Forest. She was an iconic Mississippi artist, philanthropist, the recipient of the 2004 Mississippi Arts Commission’s Governor’s Excellence in the Arts Award for Lifetime Achievement, and the 1972 recipient of Belhaven’s “Alumnus of the Year” award. The McCravey-Triplett Student Center is named in honor of her family. Caroline Weir Bennett ’33 passed away on January 23, 2009 at her home in Starkville. She was the recipient of the Alumna of the Year Award in 1998. Lilliam S. Green ’38 passed away on March 2, 2009. Ida Taylor Ramsey ’39, of Viola, Tenn., passed away on January 22, 2009. She authored seven cookbooks, full of good, simple, and old-fashioned meals. Arkie Mary Thurman ’39 passed away on October 29, 2008. She was a life-long resident of Clinton, and she was a wonderful, loving mother, grandmother, and great-grandmother. Margaret (Nan) Backstrom ’40 passed away February 19. She had been living at St. Catharine’s Village in Madison, Mississippi. Inez Ainsworth Huffman ’42 passed away peacefully at St. Dominic Hospital on January 5, 2009. She was a devout Christian and a dedicated wife and mother. Anne C. Gardner ’43 passed away on May 20, 2009 after a brief illness. She was a resident of New Albany, Miss., and she had an active career at New York Life. Nell Graves Taylor ’47, of Jackson, passed away on April 12, 2009. She was a member of First Presbyterian Church and a member of the Junior League, the High Noon Luncheon Club, the Americana Antique Club, the Museum of Art and the Symphony League. Gloria Jean “Sammie” Furr Smith ’47 passed away on January 30, 2009. She was the consummate wife and mother, and she led an active life to the very end—including skydiving at 76 and sailing the Amazon River at 78. Margaret Hood Coleman ’51 passed away on April 21, 2009. She was “Miss Belhaven” of 1950. She resided in Clinton with her husband of nearly 56 years, Wayne Coleman. Susie M. Crabb ’51 passed away on December 4, 2008 after a battle with a long illness. Marilyn A. Shirley ’53 passed away on November 22, 2008 after a valiant struggle with cancer. She was known for her love of family and her happy laugh. Charlotte Truitt McKinnon ’55 passed away on April 23, 2009 after a long life that was enthusiastically lived. She and her husband, Stanley McKinnon, had successful careers but considered their family their crowning achievement. Annie Kirkham ’69 passed away on January 7, 2009. Mignon Godbold ’74 passed away on April 19, 2009. Marilyn Akers Shirley ’77 passed away on November 22, 2008. She was a lifelong resident of Jackson. Sue Gaddy Hathorn ’77, of Florence, passed away on May 16, 2009. She was a member of Cleary Baptist Church. David C. Witt ’82 passed away on February 21, 2009 in Nashville, Tenn. He was employed by Security Archives for the past nine years. Patricia “Patty” Morriss ’83 passed away on March 7, 2009. Her passion was community theatre and worked tirelessly for its advancement. Robert Davis ’84 passed away on November 16, 2008. 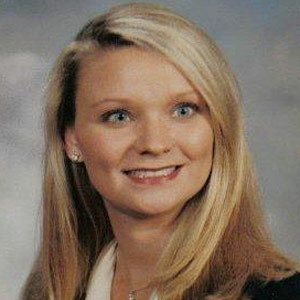 Susan Flowers Davis ’86 passed away on November 16, 2008 from heart disease. She was preceded in death by her father, Dr. W. Mel Flowers, Jr. and sister, Shari Flowers Schmidt. She is survived by her mother, Marilyn Case Flowers. Timothy W. Wilkinson ’88, of LaGrange, Ga., passed away on January 13, 2009. He was the regional manager at PPG, and a former member of the Kiwanis Club in Greenville, Miss. This is a GREAT list you put together Thank You!